I am not a natural “homemaker.” Luckily, I married “Martha Stewart” and he’s a genius when it comes to anything related to cleaning. I figure if we train Felicity early, I really won’t have to lift a finger 10 years from now. I kid, I kid. Felicity is actually a bit scared of the vacuum cleaner. It has a lot to do with the noise…and the frequency (or lack thereof) in which it’s used. For Christmas, Santa brought her a Minnie Mouse vacuum. 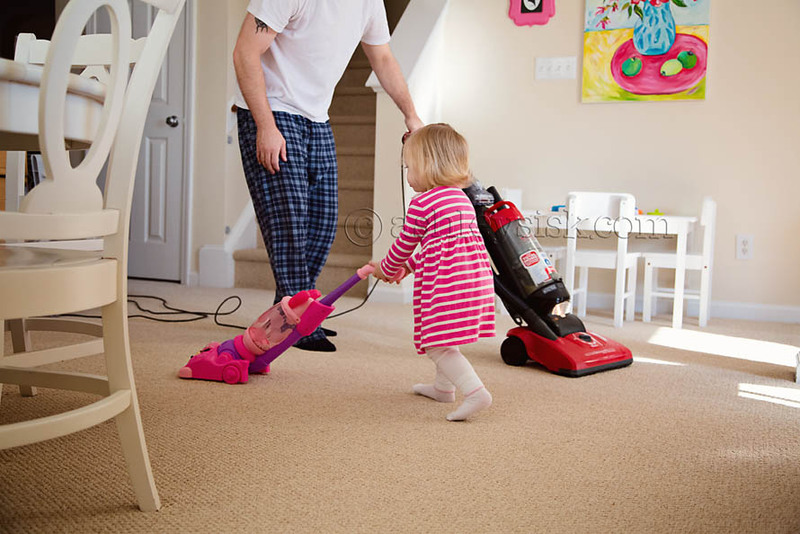 So when her daddy decided that the house needed a quick clean, I pulled it out for her to tag along. 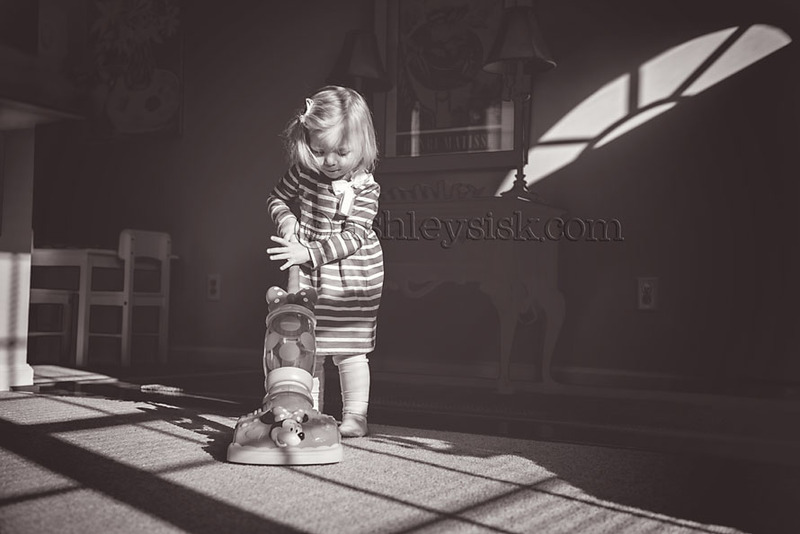 Interestingly enough, this was all she needed to get over her fear of the vacuum cleaner…and it made for a cute photo op. Win-win!